Komodo is the natural evolution of our linear fire pit range. Longer and taller than our other offerings, this modern fire offers new and dynamic placement possibilities: as a dramatic divider to define social spaces; as a grand central feature of a landscape plan, or as multiples aligned to create a spectacular wall of fire. Equally at home in a residential backyard, a hotel garden, or a restaurant patio, Komodo is a modern fire pit designed for maximum visual impact. CSA/ANSI for the U.S. and Canada by ETL; CE certified to the Gas Appliance Directive for Europe. 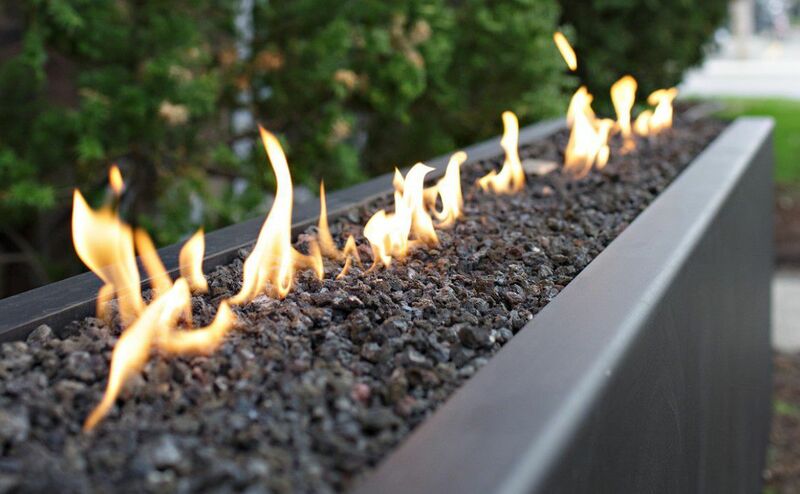 Komodo Linear Fire is available in black, graphite, or white powder-coated finishes, or in Corten weathering steel. Like all our fire pit models, it comes complete with your choice of topping medium and a commercial-grade, all-season cover.